It’s National Coffee Day! Who Knew? 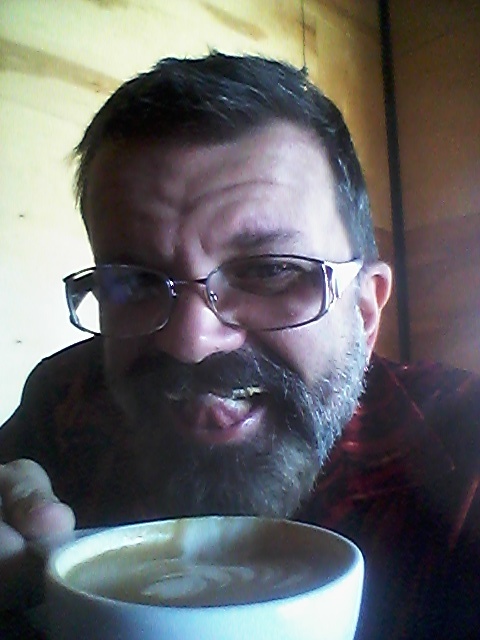 So I had no intention of getting out of the house and going to Oddly Correct today (only the best coffee in Kansas City–or maybe the world?). But then quite by accident I found out that today is National Coffee Day! So how cool is that? And how appropriate that it’s on a Monday! So here I am, and today it’s something new again. A latte. And I don’t mean some frozen stuff or instant weirdness or pre-bottled concoction. I mean a real latte and yum yum yum! So creamy! And delicious! And yum! It’s coffee! According to Wikipedia…. International Coffee Day (also known as Coffee Day or National Coffee Day) is an annual event observed on September 29 in a handful of countries for the celebration and enjoyment of the popular beverage coffee. This day is also used to promote fair trade coffee and to raise awareness for the plight of the coffee growers. On this day, many businesses around the world offer free or discounted cups of coffee. Some businesses share coupons and special deals with their loyal followers via social networking. Some greeting card companies sell National Coffee Day greeting cards as well as free e-cards to help celebrate the occasion. While the exact origin of International Coffee Day is unknown, many countries around the world participate in this event. It was promoted in Japan by The All Japan Coffee Association and first celebrated in 1983. In the United States the name “International Coffee Day” originates from “National Coffee Day”, which was mentioned publicly as early as 2005. The name “International Coffee Day” was first used by the Southern Food and Beverage Museum, which called a press conference on October 3, 2009 to celebrate it and to announce the first New Orleans Coffee Festival. It was promoted in China by the International Coffee Organization, first celebrated in 1997, and made into an annual celebration in early April 2001. Taiwan first celebrated International Coffee Day in 2009. Nepal first celebrated National Coffee Day on November 17, 2005. Indonesia, which first celebrated National Coffee Day on August 17, 2006, celebrates it on the same day as Indonesia’s Independence Day. And hey! 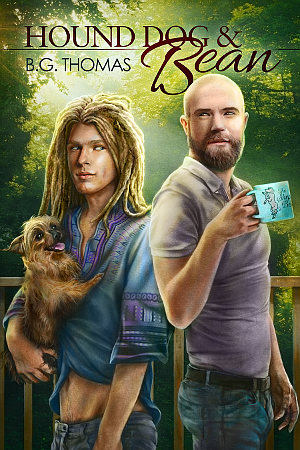 I can recommend both a wonderful novel and audio book that has this awesome guy in it who owns his own coffee shop and is looking for the love of a good man. Check it out! 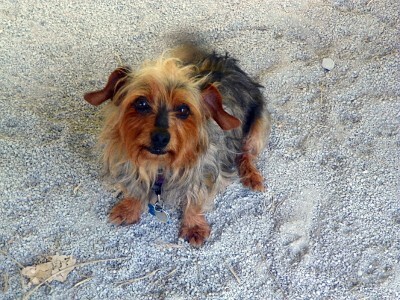 Find Hound Dog & Bean at Dreamspinner by CLICKING HERE!! 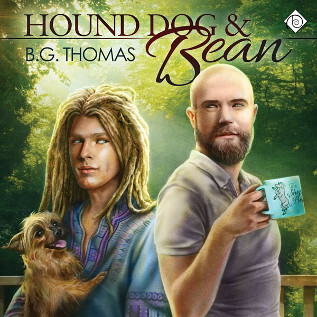 And heck–grin–links for Hound Dog & Bean! What not? Don’t Forget! YOU Can Make a Difference! All proceeds from pre-orders for “Hound Dog and Bean” through tonight at midnight (Eastern Standard Time) will be donated to the American Society for the Prevention of Cruelty to Animals. And here I am with the joy and light of my life, Sarah Jane. She came to me through the Great Plain PSCA. I Am SO Excited! The Cover of My Next Book Has Been Reveled! This Will Blow You Away! I am SO happy with this cover. I am so lucky with my covers, but this? By the incomparable artist Paul Richmond? I am crying! I am in tears! THIS IS IT! This is THE cover! And you will LOVE the book!